Jobs in the legal marijuana industry are experiencing a surge in widespread appeal thanks to pervasive, countrywide cannabis culture. Every sector of the industry is firing on all cylinders, in hopes to facilitate a multi-billion dollar business that will infiltrate mainstream culture and commerce. Significant development in the industry is occurring within marijuana customer service jobs as cannabis is a consumer driven industry. Perhaps the most popular marijuana customer service jobs are found within cannabis dispensaries, which engages in the sale of cannabis products to medical marijuana patients and recreational marijuana customers. The tourism industry is centric to providing marijuana customer service jobs as a widening demographic of curious travelers are willing to spend money to experience the novelty of legal cannabis. With more businesses involved in the production and distribution of cannabis products like concentrates and edibles, a necessity for customer service representatives is needed in order to ensure quality and customer satisfaction. Cannabis dispensaries employ passionate, reliable marijuana enthusiasts who use their knowledge of pot products and legislation to provide new consumers and store regulars with cannabis, paraphernalia and more. Typical marijuana customer service jobs you’ll find upon entering most dispensaries include budtenders and receptionists/front desk staff. In addition to being predominantly service/sales based jobs, these positions are also regarded as two of the most entry level marijuana jobs that exist on the market today. Marijuana receptionists are the kings of compliance for marijuana dispensaries. They are predominantly responsible for greeting customers and processing all necessary forms of identification. Receptionists also assist customers with the process of seeing a budtender, as many dispensaries will queue people in a waiting room, before sending them into the showroom to see a budtender. Receptionists must have a keen ability to communicate effectively with a diverse demographic of new and experienced cannabis customers by answering any general and legal queries regarding marijuana. Not only do receptionists engage with customers in person, they are also required to communicate across a variety of forums, including social media, email and sites like Leafly. Additionally, they must be comfortable with and proficient talking over the phone on a daily basis. In addition to their direct service responsibilities, receptionists are integral in keeping a dispensary running smoothly by addressing administrative issues and assisting managers with additional tasks that require their attention. Working as a receptionist is a great way to break into the marijuana industry. Don’t be fooled in thinking this job is insignificant or easy to acquire; securing any position in a dispensary is a “kush” spot to be in, as the competition for all weed jobs is fierce. A major benefit of all marijuana customer service jobs involves being initiated into a community of professional cannabis lovers. Receptionists interact with like-minded coworkers and customers everyday, which can be a welcome relief for employees who had to previously hide their marijuana use from their job. While for the most part employees are not allowed to consume cannabis products on-site, they also can talk freely about their cannabis use in their personal life. Another major selling point for working in a dispensary is the employee discount. This is a perk shared by most dispensary staff and is a major incentive for individuals who would otherwise spend a lot more money on cannabis if they didn’t work at a pot shop. From a career perspective, an advantage of acquiring a dispensary receptionist job is the potential for professional growth and advancement. Despite its entry level status, receptionist jobs offer a lot of room for learning on the job and promotion opportunities to budtending or managerial positions. On the con side, receptionists who are delegated exclusively to administrative tasks do not experience hands-on interaction with cannabis products. This can be discouraging for cannabis lovers who want to spend as much time as possible with the plant and the many forms it takes on. The main downside to working as a receptionist is probably the starting pay rate. For the most part, receptionist wages begin around minimum wage and range near the twelve dollar per hour mark. Wages definitely fluctuate, however, and some receptionists make more per hour based on tip splitting or incremental raises. Budtending jobs might just be the best “beginner” marijuana customer service job you can find. Budtenders are the knowledgeable cannabis connoisseurs that help to guide customers through a sale. Budtending is chiefly a direct customer service job and an important one at that. Budtenders lead the way in exposing customers to the vast range of products the legal marijuana industry boasts. After being trained by dispensary managers, budtenders must be able to advise and sell products to patients and customers independently with little or no assistance. They must be able to answer a variety of questions regarding different products while assessing the patient’s history using cannabis products and desired methods for consumption. 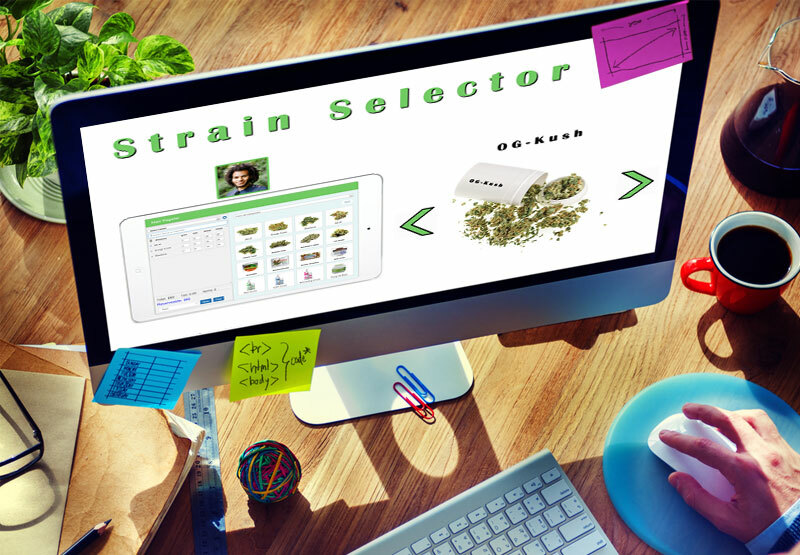 Budtenders maintain extensive insight on different cannabis strains and products and can accurately provide customers with suggestions for which merchandise to select. Working a marijuana customer service job in budtending secures that the employee is an authority of cannabis. The education and experience budtenders gain from working at a dispensary acts as a significant springboard for advancing into other, more lucrative fields in the industry like growing and cannabis extraction. Like bartenders, good budtenders tend to attract regular customers if they provide exceptional service. Building a strong consumer base is not only an asset for the dispensary, but the budtender as well. Budtending can be a career in its own right, leading to supervisory roles and even management. Like receptionist jobs, budtending wages start around minimum wage, but the hourly pay scale can reach upwards of fifteen dollars per hour plus tips. Budtenders who work full time receive liveable wages, as well as the possibility for benefits like health and dental insurance. A usual con associated with budtending is not being able to use cannabis products at work. Despite the fact that dispensaries sell legal cannabis products, employees are not allowed to be intoxicated at on the job. For medical patients who work as budtenders, there are some exceptions for at-work use. In these cases, the employee must consume the products out of sight and cannot be intoxicated. Using Denver, Colorado as an example, the marijuana tourism industry is increasing city and state revenue massively, as well as creating numerous marijuana customer service jobs. Tourism companies are combining travel, leisure and cannabis by creating vacation packages that highlight different aspects of the marijuana industry like growing, cannabis extraction and of course, sales. Tourism allows for partnerships to form between marijuana businesses and associated industries like hospitality and food service. While these marijuana customer service jobs may seem far removed from the industry as a whole, they are essential in developing the marijuana industry further. Tour guides, hotel staff and restaurant workers all benefit from the cannabis industry’s appeal. For all business sectors that involve the distribution of cannabis products, marijuana customer service jobs are necessary in ensuring customer satisfaction and compliance is being strictly upheld. For instance, if a marijuana edibles company sells a product that is faulty and a customer has a complaint, there must be delegated positions for handling customer queries. Human resources and other administrative departments are essential for the marijuana business, especially since it is still fledgling and so dependent on the patient and consumer. Marijuana delivery, like many jobs in the cannabusiness, is entrenched in legal disputes, but is one of the most integral marijuana customer service jobs. Especially for medical marijuana patients, delivery services can make or break whether a patient receives their medical marijuana or not. Some patients do not have the ability or resources to visit a dispensary on their own, making delivery services one of their only options. Delivery drivers (and bikers) possess all the customer service experience as budtenders or receptionists, but must also transport products from a dispensary or middleman to a patient’s front door. They must be punctual, trustworthy and compassionate. The customer service industry helps to employ a wide range of individuals and successfully develops local economy. As the legal marijuana industry continues to boom, greater numbers of marijuana customer service jobs will proliferate as a result of comprehensive legalization. There is truly no better time than the present to pursue your ideal job in customer service! What marijuana industry job do you seek?